A lack of clarity about what zero waste really means may be keeping some businesses from reaping the benefits of going zero waste. Is zero waste the same thing as “zero waste to landfill”? Does zero waste mean producing no waste? While exact definitions of terms related to zero waste may vary, the general benefits remain the same. To put it simply, zero waste means working towards producing less waste in the first place, and reducing waste through recycling, reuse, and resource efficiency, with the ultimate goal of closing that loop. Going zero waste does NOT mean that you will be under pressure to produce no waste at all immediately. So businesses should dispel that common misconception and understand that zero waste is a very achievable goal. Moving towards zero waste means that you commit to putting a plan in place to deal seriously with waste. And all this begins with taking a closer look at your current waste management practices, including what you throw away, your current waste and recycling programs, and even what you source. Effective waste management is one the most impactful things you can do to improve your business operations, achieve your sustainability goals, and control your waste costs, which are going up every year. So in a sense, going zero waste means effective waste management. 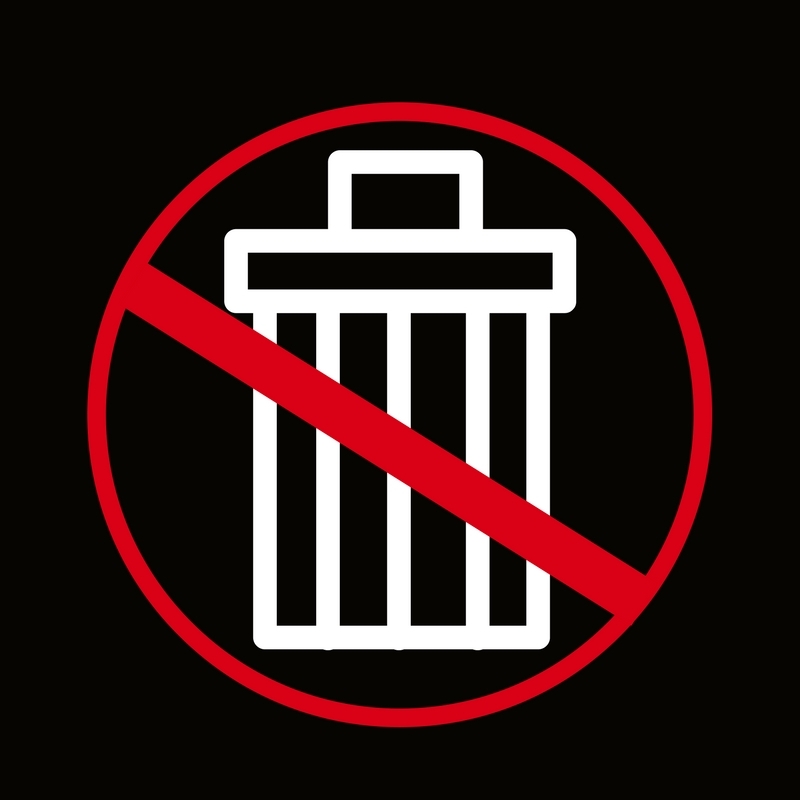 Here are a few reasons why moving towards zero waste is crucial for businesses large and small. Going zero waste will help businesses rescue the value in what they are landfilling. For example, cardboard can make up 50% of a retailer’s waste stream. If diverted from the landfill, cardboard can be sold as a commodity, and that can lead to reduced waste costs for the business. Needless to say, the less you throw out, the less you pay to have your trash removed. “The World Bank estimated that the world produced 3.5 million tons of solid waste per day in 2010, and that amount is projected to double by 2025. That’s not simply a lot of trash, it’s a lot of lost value – as much as $2.6 trillion annually in raw materials and residual worth. Landfill waste is a double loss: wasted product, and wasted natural resources to produce the product in the first place. The world can’t afford to use up water, forests, food, minerals, fossil fuels or any natural resource in this way.” — Toward A Zero Waste Future, Walmart Sustainability Report. As more companies begin to realize the benefits of going zero waste, those that don’t will be left behind. They will lose the value of what they are landfilling, pay higher costs in waste removal, incur a bigger carbon footprint, and suffer in their corporate social responsibility reputation as well as employee/customer goodwill. In the long term, they will slip behind in operational efficiency and become less competitive. For companies and cities alike, it is the future of waste management. While we are not running out of landfills nationwide in the U.S., some states are reaching capacity. For example, according to the BioCycle report “The State of Garbage in America,” Arkansas reportedly has enough capacity to last 600 years, while New York only has 25 years left. While more landfills can be created, the reality is that landfill fees and waste hauling costs will be going up. Waste is big business. Landfills release methane and carbon dioxide from the decomposition of organic materials, contributing to climate change. But even before your trash reaches the landfill, damage is already being done. “Thirty years ago, a bag of garbage dropped down a chute in Manhattan would have traveled just a few miles by barge to the aptly named Fresh Kills facility on Staten Island. (Until 1931, the city dumped most of its trash in the Atlantic Ocean.) Today, it would likely make an overland journey to Ohio, Pennsylvania, or West Virginia. One ton of garbage traveling 500 miles by train from New York to the Mountain State would generate 115 pounds of carbon dioxide. If New York City shipped all of its trash to West Virginia the commute would produce 760,000 tons of CO2 each year.” — Go West, Garbage Can!, Slate. Similarly, even recycling has environmental costs, incurred from transportation and processing. So the key for businesses going zero waste is to work on reduce and reuse first. Remember, it all starts with the decision to move TOWARDS Zero Waste as a goal. And the first step of that plan is to do a waste audit to understand what you are throwing away. Want to start moving towards Zero Waste? It’s simple. Here’s how to move towards Zero waste in 3 steps. Have more questions? Ask your Great Forest representative for help to get your started.